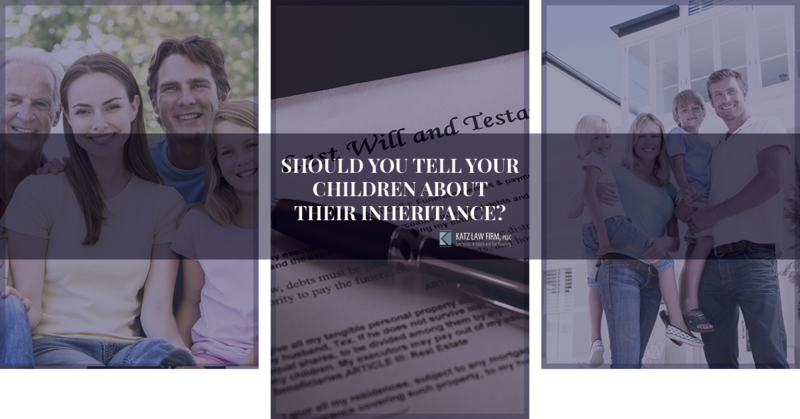 Money is not a topic that is talked about freely, and sharing details of your children’s inheritance with them might feel uncomfortable. Should you tell them if they are going to get a substantial amount of money? Should you tell one child they will get less than another? Navigating these questions can be tricky, so read on for some suggestions on how to talk about assets, estates, and inheritances. While money talk can be uncomfortable, it is far better than waiting for your children to find out the details of their inheritance after you die. By talking about the details now, you will be better able to address concerns, help your children start to plan for the future, and avoid family squabbles. Here are some great reasons to spill the beans early. Maybe your children have been led to believe that they will inherit much more than they actually will, or maybe they have no idea that your estate is worth so much. Avoiding unpleasant surprises is good in estate planning, and giving your children access to more information can help them make good future financial decisions. If you have chosen to give more money to one of your children, perhaps because of their family or financial situation, it may cause tension among the other siblings. Being able to address this and explain your reasoning can help to avoid future fighting and tension. It could also reveal that one sibling would not like special treatment, and you can refine your plan accordingly. If you are thinking of passing on a family business to one or more of your children, revealing this early on can help gauge who is really interested in continuing your legacy. You may find out that a child you didn’t think was interested has the drive to continue your business, while another child may prefer to receive stocks or bonds rather than have direct involvement. Knowing this early on is helpful for refining your business plan. If you are gifting a family vacation home to your children it is good for you to talk about it with them. Find out who is interested in continuing to use the home, who might want to keep it for their children, and how children who would rather not use it should be compensated. Some parents avoid talking about money matters because they don’t want to upset the family harmony with disputes over assets. However, they usually just push those squabbles off for another time (when they can’t give their reasoning). Adult children sometimes have great ideas for how an estate could be fairly distributed, and at least clearly stating your wishes will avoid there being arguments over what you would have wanted later. 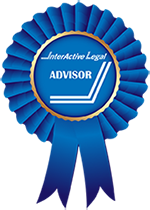 There can be situations where waiting on giving the details (or full details) of your children’s inheritance good be the right choice. If you have minor children, they may not be ready to comprehend the implications of an estate, and it could cause them more stress than good. You also don’t want to reveal to an unmotivated adult child that they may have money waiting for them if you think it would impact their work ethic. You want the emphasis to be on wealth management and preservation, not on impulse buying or delaying work or education in hopes of a hefty inheritance. The best way to set your children up for financial success is to set a good example yourself. Another great option, instead of saving all of the gifting for after you are gone, is to set up wealth distribution during your lifetime. If your children receive a large inheritance after you die they could be faced with estate taxes and end up with not as much as you, or they, hoped. By establishing a trust you can pass assets to your beneficiaries without going through probate, and a living trust can allow you to give to your children while you are still alive. A trust also is a great vehicle for talking about the money you hope to leave your children and what you would like to see them do with it. If you are trying to give them a significant portion of your estate before you die make sure this is clear to them, so they are not expecting an equal amount after you die. Talking to your children about their inheritance is a great idea, and can help keep the family peace, get your children thinking about wealth management, and set realistic expectations. Starting the conversation can seem awkward, but both you and your children will be happy that you have clarified the reasoning behind your decisions, and set them up for financial success. If you have been wanting to explore your options for financial gifting, you need the skill of a seasoned estate planner. If you are in the Cedarhurst area looking for estate planning help, turn to Katz Law Firm to talk about wills, trusts, and how to maximize your children’s inheritance.